When you think of outdoor furniture, we here at Market Furniture & Mattresses want you to think of an oasis—waterfalls and everything—with your closest friends and family comfortably seated nearby. 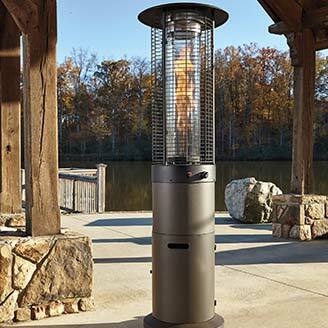 The secret to the summer season, as we see it, is all about furnishing your backyard or patio in a way that screams: light up that BBQ! 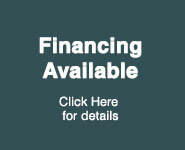 Browsing through our exceptional and thoroughly discounted selection of outdoor seating, dining sets and chairs, you’ll ask yourself how you ever spent a summer—or any season for that matter—without our furniture. 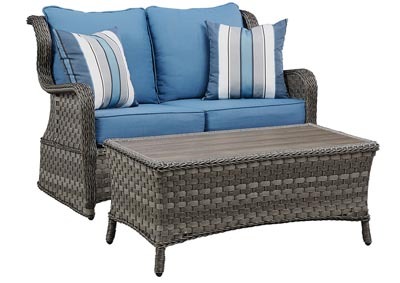 If high-design and weather-proof outdoor furniture sets are on your radar this summer, then you will not be disappointed by our extensive selection of outdoor sofas and sectionals. 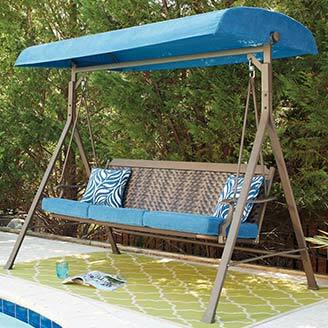 Curved track arms bring a fresh feel to your outdoor seating, while rust-proof aluminum framing gives you the best defense against splashing pools and Mother Nature. Once you lay yourself down on one of our Nuvella-cushioned outdoor sectionals and ottomans, you’ll sink into total bliss, outside in the warmth of the sunlight. 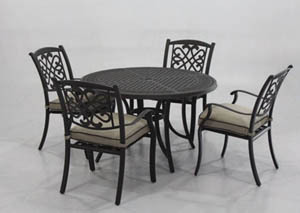 The perfect complement to any outdoor seating arrangement: our outdoor dining sets. After you and your closest companions have lounged to your heart’s content, you can easily eat at one of our glass tabletop outdoor dining sets, with matching sling chair seating. 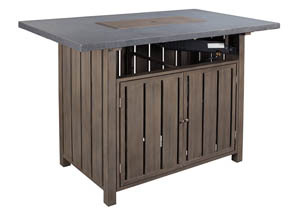 As in the case of all our exceptional outdoor furniture, these outdoor dining tables come to you extra-durable, and all the more rust-resistant, thanks to aluminum framing. Whether you prefer rectangular or circular, it is all here and ready for your most extravagant meals, seating as many as eight people. If you and your guests have been seeking comfortable outdoor seating then look no further than our collection of outdoor sling and swivel chairs. Designed for prolonged periods of lounging and socializing, our outdoors chairs give you plenty of space and incredible amounts of comfort, at a price point that’s agreeable to anyone. With one of our aluminum cast swivel chairs, you’ll gain a new understanding of luxury outdoor living. 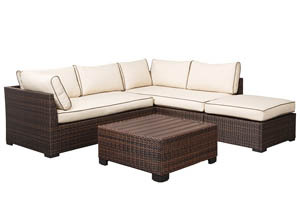 Celebrate summer with the most comfortable outdoor furniture, by visiting any of our four stores in Paterson, NJ.